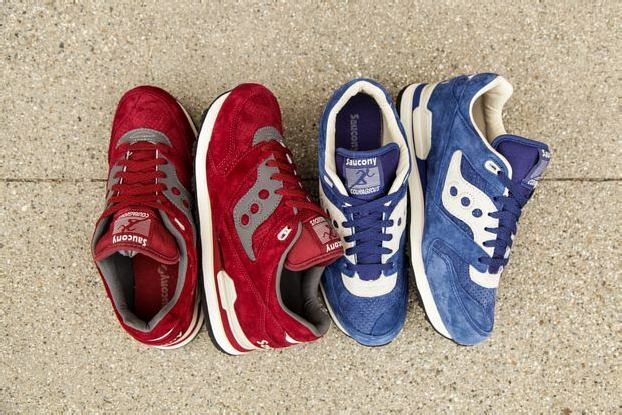 PYS.com is releasing an exclusive collaboration with Saucony to celebrate its tenth anniversary in the sneaker community. 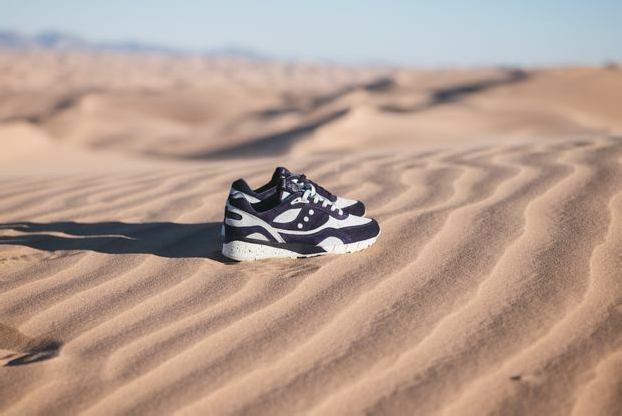 The PYS x Saucony Shadow 6000 “Blue Apple” combines a classic running silhouette with an alluring design by Southern Californian lifestyle boutique BAIT. The “Blue Apple” is designed as an ode to the original “BAIT” – the forbidden fruit that Adam and Eve ate in the Garden of Eden. The sneaker employs the signature BAIT colors – blue, apple, ivory, and tan – over the old-school Shadow 6000 profile. The upper is comprised of rich perforated apple-red silk suede panels with non-perforated sky blue, tan, and apple suede accent panels. A tan rubber outsole and heel piece finish the body of the shoe, while the PYS logo adorns the lace tips and tongue. Each pair is fitted with an apple red pair of laces and comes with an alternate blue set. The shoe is a special release to celebrate PYS.com’s tenth anniversary. PYS.com was founded ten years ago by a group of sneaker enthusiasts who aimed to make limited releases more readily available to shoe fans like them. PickYourShoes brought hard-to-find and sought-after sneakers to the web at a time when sneakerheads could only obtain the newest limited releases by braving long lines at select boutiques. 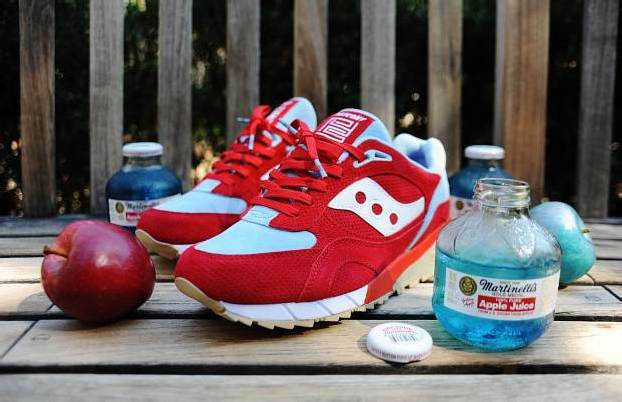 After ten years of strong service to the sneaker community, PYS has established great relationships with the industry’s top companies that have led to a number of exclusive collaborations available only at the site, such as the “Blue Apple” Saucony release. The PYS x Saucony Shadow 6000 “Blue Apple” is currently sold out on PYS.com and BAITme.com, but check other specialty sneaker accounts in coming weeks. Hit the jump for more pictures of the special collaboration.